Jio has recently entered in set top box platform as well. Customers are using the different kind of service set top box, may have good news with the launch of JIO Set Top Box. Jio mobile services and network have already created trend in the market. Recently we have seen the launch of Jio phone in market and also lakhs of customers have already booked for Jio phone online. JIO services are providing its service with minimal cost, so that every common man can use their services. Already JIO has reached 10 Million customers in JIO Network. Now, entering to JIO Set Top Box Services to gain more customers and give quality services at low price range. 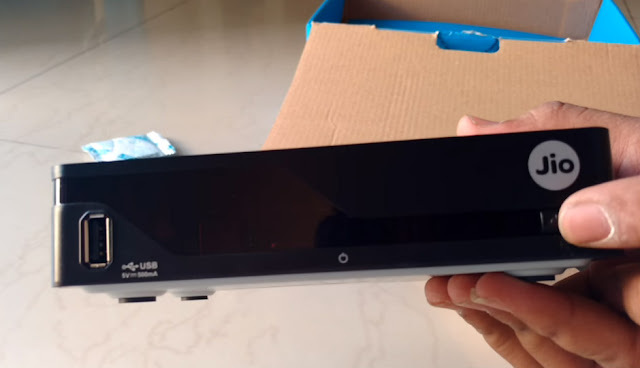 Already we have seen the JIO DTH unboxing, so we have clear idea how their product will be. As earlier while releasing the JIO network Ambani has introduced the JIO welcome offer with free sim. So we can also expect same for JIO Set Top Box with increase demand of set top box demand in market. Reliance JIO Set Top Box welcome offer will come with 3 months of free subscription with all HD channels. Subscribers need to purchase the Reliance Jio Set Top Box to avail the welcome offer for 3 months. After completion of Jio welcome offer customers need to recharge their Reliance Jio Set Top Box for subscribed channels like other networks. 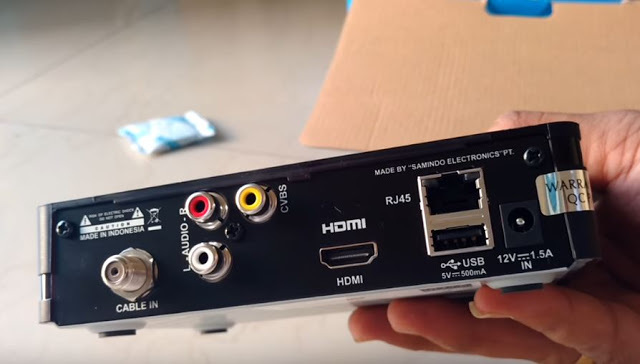 As seen in the picture box looks like standard set top box providing High definition channels. We expect there is no smart tv facility feature in Jio Set top box as the other competitor Airtel is providing smart tv feature along with Airtel Set Top box. So we have Reliance Jio Set Top Box stranded version with HD channels. We might expect smart tv feature on Jio set top box in coming feature with broad band connection. JIO has already sent the trail units to some customers as the product is under testing. Soon Reliance JIO Set Top Box will launch officially in market. As they have recently launched their Jio phone in market. Now they are about to launch Reliance Jio Set Top Box welcome offer. Bookings will open soon on their products page. More information about Reliance Jio Dish TV online booking will be provided by the customer care service. Reliance Jio Dish TV will be available at the affordable price for every common man. We can get Jio DTH box for normal price range as we are getting other dish tv in market. As there is no official price has been announced by JIO Company. We are not revealing any approx price also, some sites are giving false information about JIO DTH Box. So, we advise viewers to wait for the official announcement of the JIO Company before taking any decision about JIO Dish TV. As there are plenty of Branded Set Top Box companies in market but still a common man have no satisfaction with their subscribed channels. For Extra channels customers need to pay extra money on each channel and for high definition channels as well. But we know jio is offering TV channels for free in JIO App. Viewers can access all channels without any cost along with high definition channels in it. 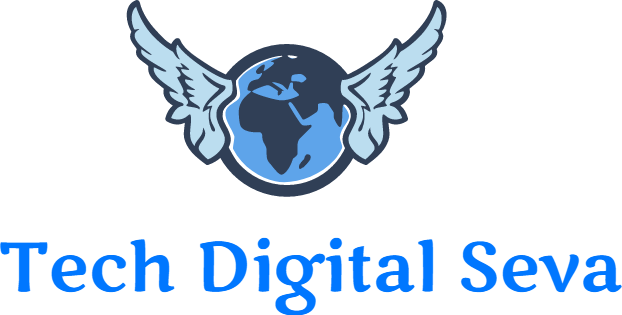 This is first app in country providing online channels without any cost.